Holverston is a tiny parish in the South Norfolk district of Norfolk. It is situated south of Rockland St Mary and north of Bergh Apton. Land held in the parish is recorded in the Domesday Book and the village name derives from Old Norse meaning ‘Holmfastr’s enclosure’. This means there may have been settlement here from at least the Saxon period. There are few houses in the modern parish and the church was demolished in the medieval period. There are only thirteen records in the database but there is archaeological evidence of human activity here from the prehistoric period. The earliest find is a Mesolithic flint blade (NHER 25604). This was found with a Neolithic flint scraper and two other prehistoric worked flints. Cropmarks of two possible Bronze Age ring ditches (NHER 17367) can be seen on aerial photographs. Roman pottery (NHER 25107) has been recovered and Roman coins (NHER 17367) have been found at another site. Parts of three Early Saxon brooches (NHER 17367) have been found by metal detectorists. The only other evidence for Saxon activity is the recovery of pieces of Late Saxon pottery (NHER 25107). There is more evidence for occupation here in the medieval period. Cropmarks of the walls of St Mary’s Church (NHER 10331) can be seen on aerial photographs. Old documents record that the church was a Norman style thatched building with a round west tower similar to that still standing in Hales (NHER 10523). It was dismantled in the medieval period and although records suggest the building materials were used to make a road, large chunks of Norman and Early English style carved stones can be seen in 16th century Holverston Hall (NHER 20118). Fieldwalking near the church recovered fragments of a child’s skeleton (NHER 25107) as well as a medieval buckle, harness and seal matrix. It is likely that the skeleton was originally buried in the churchyard. Metal detecting has recovered a medieval buckle (NHER 17367) and a penny of Edward I (NHER 24996). Holverston Hall (NHER 20118) was built in the mid to late 16th century. 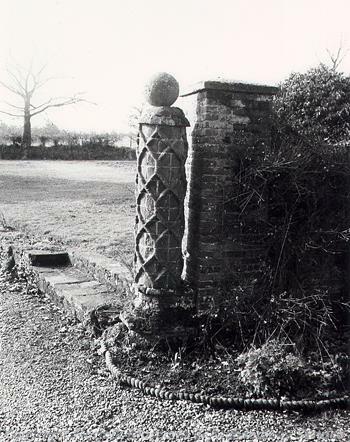 The garden wall (NHER 44030) around the hall also dates to this period. Outbuildings were added during the 17th (NHER 44031 and 44029) and 18th centuries (NHER 44028). The stables have now been converted into housing (NHER 44031) and are confusingly called The Old Granary. 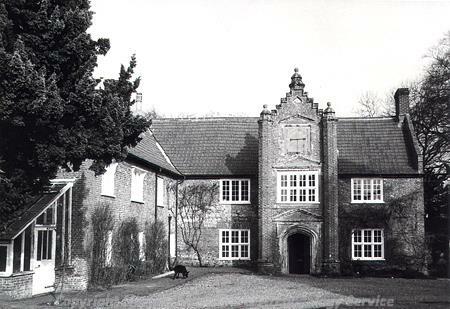 Orchard House (NHER 34193) was built in the early 18th century. Megan Dennis (NLA), 17 March 2006.